Beverly Clement Brown passed away on Nov. 9, 2011, in Byron Bay, Australia, after a lengthy struggle with Alzheimer's. Three of her four children were by her side. Beverly is survived by her husband, Roger Brown, and her many loving family members: her four children, Pam Cochrane, Piper Taurek, Portia Tresselt and Tom Cochrane; her two stepchildren, Eric and Tad Brown; her sister, Barbara Gould; her mother, Helen Clement; eight grandchildren; and a nephew and niece, Trip Gould and Alexandra Scott. Beverly was born June 3, 1934, in Southern California and graduated from Redondo Beach High School and El Camino College. She spent many years living in Laguna Beach, working in the art business and later as a real estate agent for Nolan Real Estate. 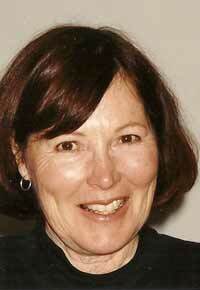 She moved to Sun Valley, Idaho, with her husband, Roger, in 1993. She loved traveling to visit her family in Bali, Australia and Japan. She also loved to cook and enjoyed cross-country skiing. She will be deeply missed by all of her friends and family. A family memorial service is being planned in Laguna Beach, Calif., in early December. Donations may be made in Beverly's name to the Hospice of Wood River Valley.